Build your own Analog VOM Multimeter with this fun electronic soldering kit. Every roboticist needs a good collection of tools and a Volt-Ohm-Meter is one of the most useful. You will enjoy building this kit and will appreciate your excellent assembly skills each time you use it. It's not hard to build but it does require basic soldering skills. 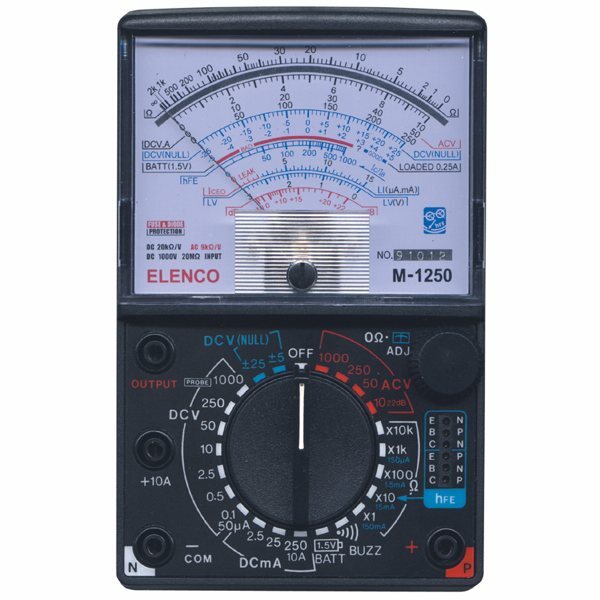 This kit builds a fully functional analog multimeter that can be used to measure voltages, current and resistance. I will also check transistors and diodes and can measure dB and test batteries. It has an audible continuity check too. Analog meters are fun to work with because you get a real sense of what's happening. 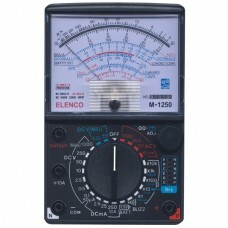 Your assembled multimeter features a 3 1/2" analog meter with a mirrored scale. This multimeter includes a set of test leads, a manual, one 9V and two 1.5V AA batteries. We enjoyed building our own multimeter and we're sure you will too!